ABC baking time. Baked in time, posted late. Abby Dodge’s book "The Weekend Baker" Page 339 gives us Overnight Brioche (braid). A wonderfully soft and airy sweet bread, I flavored ours with orange peel and almond which made it very fragrant, almost cake like in eating. Very good but difficult to use as sandwich bread. Lovely toasted though with a smear of butter. I sampled two slices and the rest of the loaf went home with the man who clipped our hedges. Nothing says thank you better than fresh bread right? In all hectic of that particular day I forgot to eggwash the top of the bread and didn’t find the patience in me to wrestle the very soft and very sticky dough into a braid. I just rolled it up as good as I could and plunked it in a loaf pan…. A too small loaf pan perhaps? This baby rose and rose to higher places. Ballooned all over the rim of the pan. 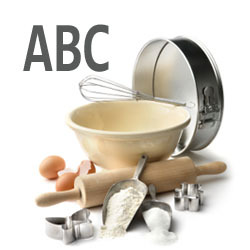 If you would like to join ABC or just check out the other posts of my fellow ABC bakers, head on over to the ABC blog! Yum, orange and almond flavours, that is always great. Wow when can I come and clip your hedges?? Happy hedge-clipping-man went home there. Mine went to XXL proportions as well! The loaf looks lovely. I can almost smell it from here. I don't post my quilts..but I do try to put them in the background of a lot of my baking adventures! It is hard to juggle baking and quilting-they are both time consuming but so fun! Yours really do rose very high too! I think the next time I'll try the braiding method or use a bigger pan! This is one lovely Brioche, soft and fluffy. Another wonderful keeper recipe from Abby! Gorgeous loaf ... plenty of loft! I think you've made me crave some Brioche. Beautiful crumb, and a beautiful loaf! I love eating bread, and would like to try making it myself. 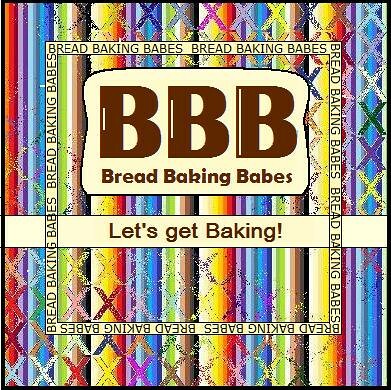 Your breads look wonderful and I like how you write your blogs, I really enjoyed reading it. Curious about Julia Child, wonder if her recipes are really that good and easy to follow..